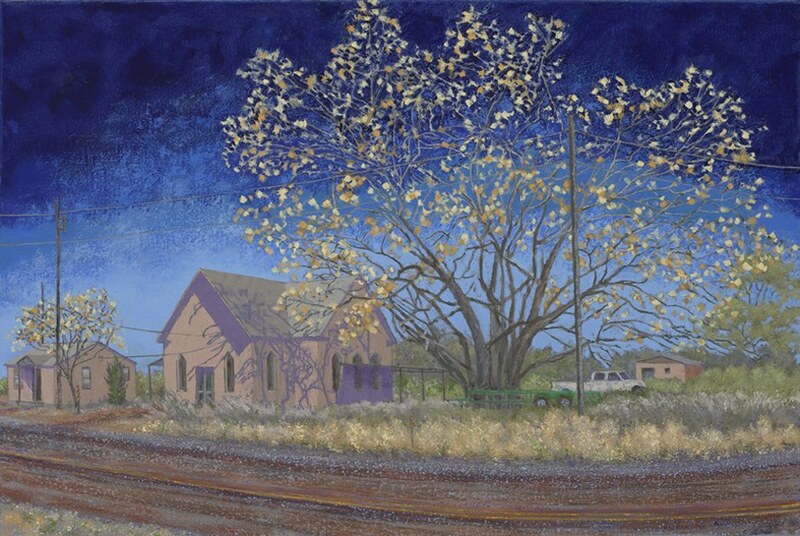 Bacon has excelled with his panoramic views of small-town Texas streets and rural scenes. His locations might look lonely to some, but to Texans they manifest the elbow room needed to live large. 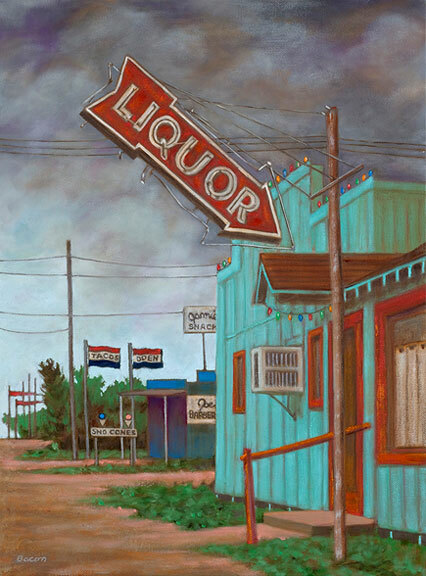 Although realistically painted, Bacon's scenes of rural areas, small towns, highways and railroad tracks have a rich physicality and a palette just otherworldly enough to evoke a mysterious mood. 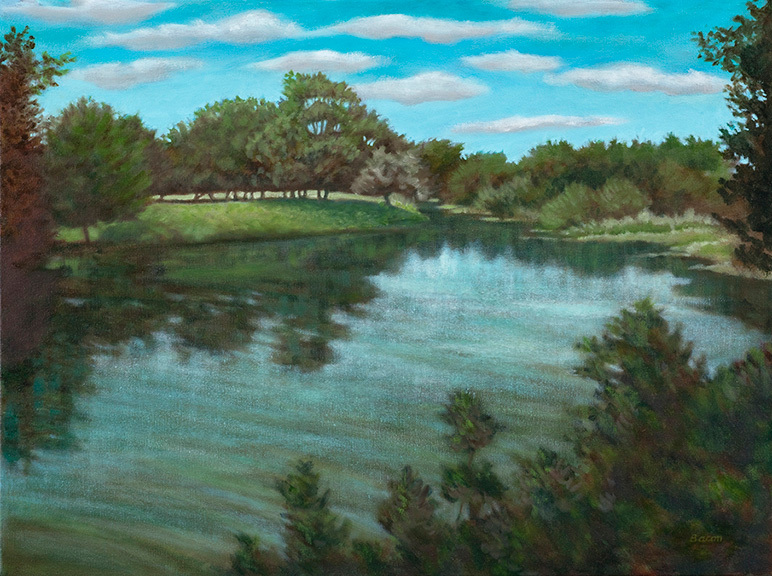 Bacon reveals the quiet, yet stunning, beauty of what we might otherwise pass by too quickly. He plots the intermediary points along a journey, the places one unthinkingly sweeps through on the way to a more alluring endpoint. As Bacon reminds us with his emotionally poignant paintings, oftentimes the journey is more important — and more intriguing — than the destination. 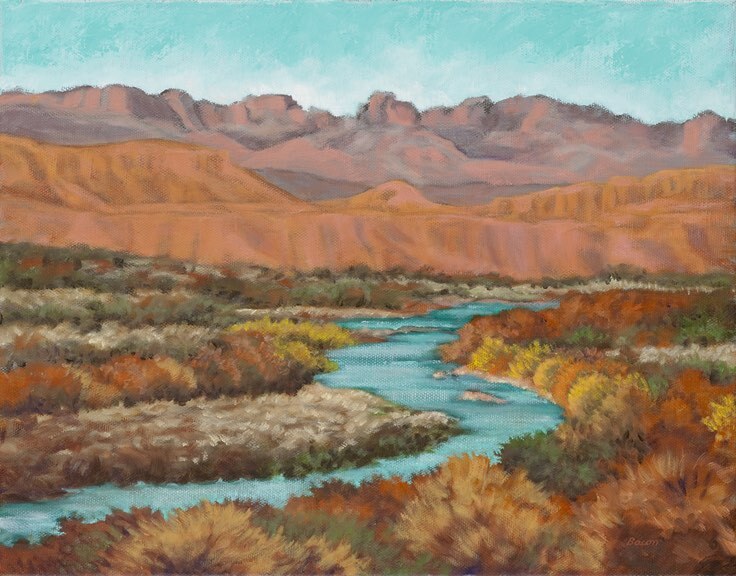 Catherine Deitchman writes reviews and feature stories for leading Texas art journals including ArtLies and Glasstire. Bacon's personal and intimate relationship with the people and places he paints combined with his eye to finding the extraordinary in the ordinary continues to direct his choice of subjects. Composition, technique and color harmonies are carefully manipulated to create poignant and delicately balanced formal arrangements resulting in images layered with poetic meaning and modern moments of revelation. 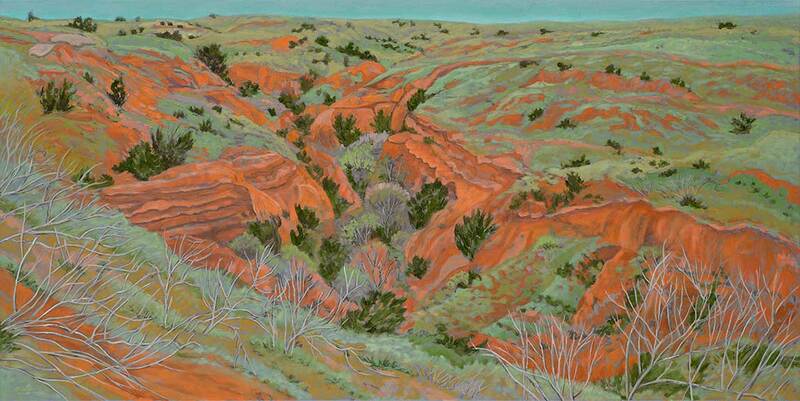 Observers have commented that some of Bacons West Texas landscapes remind them of the opening of a movie. Such comments suit him just fine, the native Texan says, because one of his missions is to make all of his work appear cinematic. 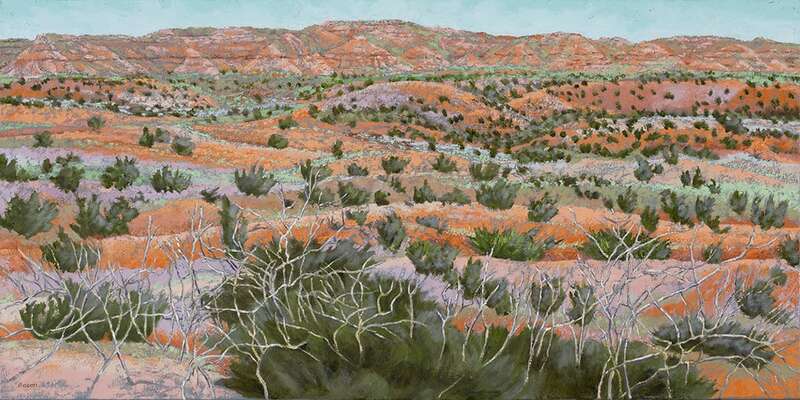 For the artist, West Texas has long offered a veritable storehouse of memorable subjects and iconic images of The Lone Star State, and there can be little wonder why so many great artists have made pilgrimages there time and again. 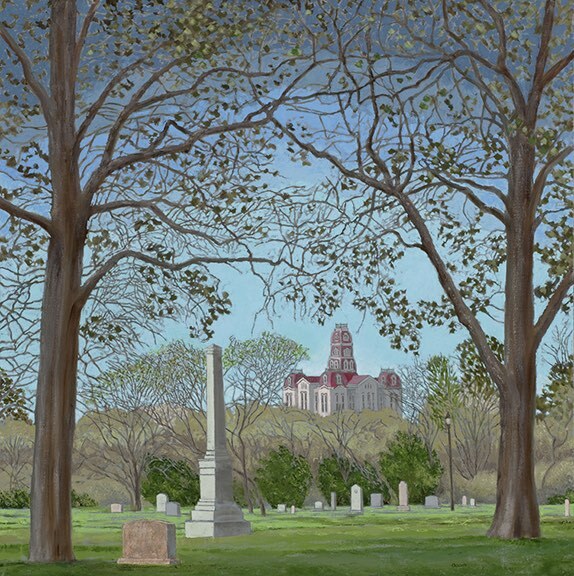 From Frank Reaugh to Everett Spruce to Randy Bacon, this exciting exhibition brings together master images of West Texas executed by the state's most prominent artists, past and present. 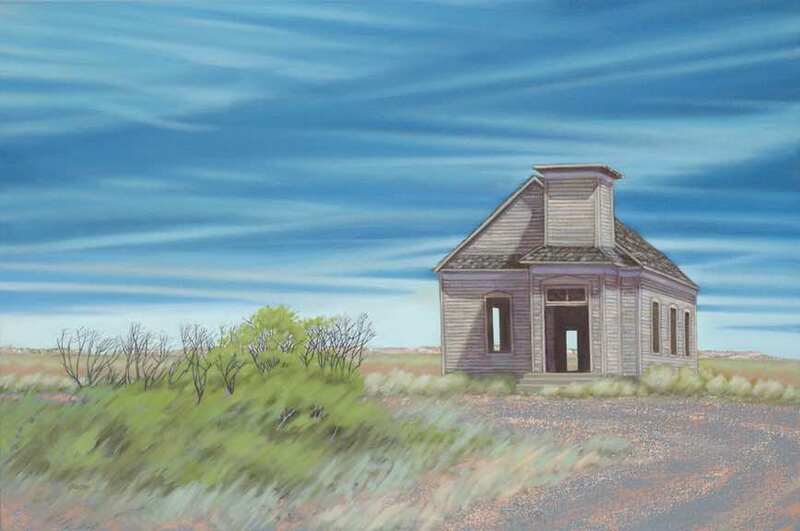 Bacon is drawn to the small towns of West Texas and he paints them in a way that acknowledges their decline but honors the heroic effort it took to establish them. He paints town squares and lonely stretches of highway punctuated with small houses beaten by decades of wind and sun that cling to the hardscrabble landscape, personifying the tenacity of the people who live there. He sees a resilient glory where most people would see only despair. 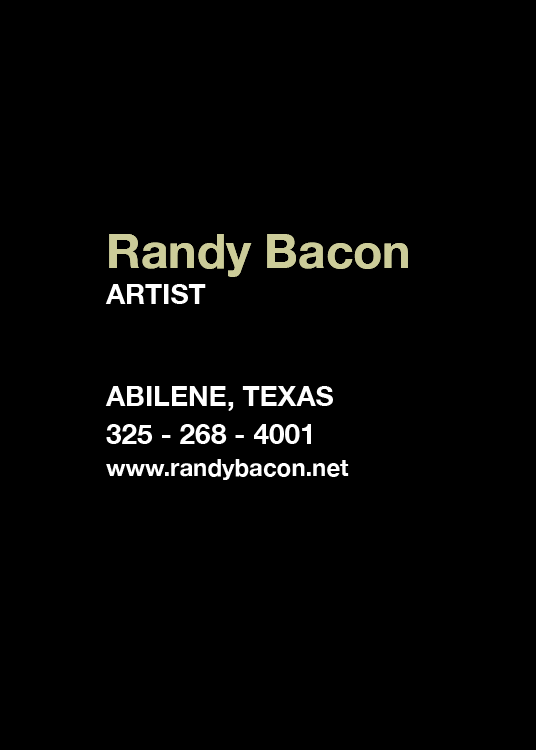 Randy Bacon has always been attracted to the quality of light, the precise colors and the big skies of his native state. In communicating a sense of place, Bacon often draws upon the people and venues of his life to bring about work where past, present and future become blended, where memory and reality connect. 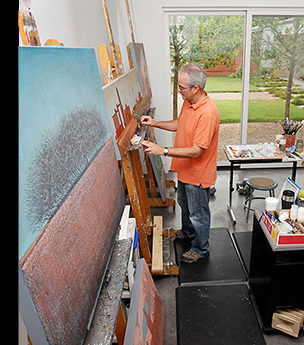 Before returning full time to painting, Bacon was president of Stuart Bacon Advertising and Public Relations in Fort Worth, from 1987 to 2002, a full–service agency he co–founded with Jim Stuart. 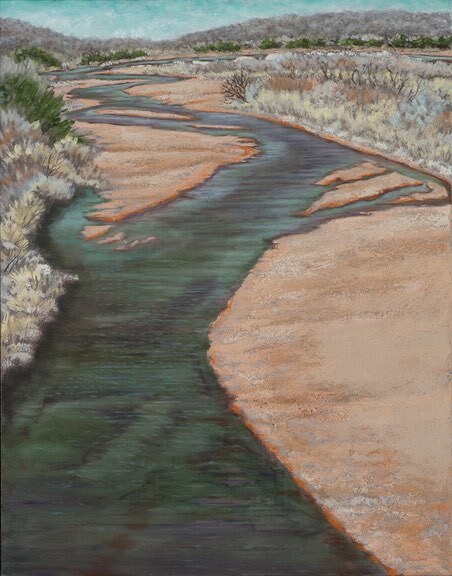 Opening reception March 29, 6 - 9 p.m.